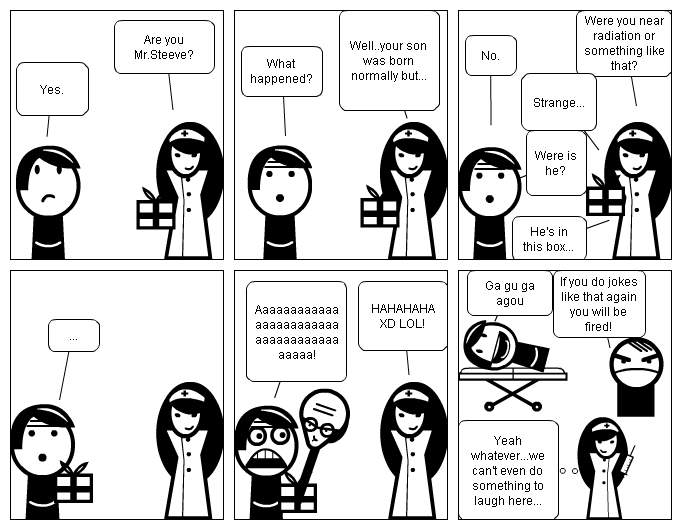 A nurse is doing a prank on someone. Were you near radiation or something like that? If you do jokes like that again you will be fired!